The German Chemical Distribution Association (Verband Chemiehandel - VCH), domiciled in Cologne, is the organisation of the production-connecting chemical distributors in Germany with a special emphasis on the stockholding distribution trade, the export / importers and the chemical speciality distributors. The association has more than 100 member companies who together generate a turnover of about twelve billion Euros per annum. The VCH stands up for the rights and commercial interests of the chemical wholesalers and foreign distribution companies in Germany. It represents the interests of its members and their sector of industry towards all responsible bodies of the authorities and the economy. Furthermore, it promotes the exchange of economic and technical information within the chemicals distribution as well as beyond the borders of the association. ● VCH-Image brochure "The chemical distribution in Germany"
The Association has 107 full members and 24 corresponding member companies (status 1/2018). At the end of 2017, 51 companies were active in stock-holding local trading with a total of 105 plant locations. With 204 locations, 105 companies in the sector (including companies not organized in the VCH) are active in foreign and specialties trading. The industrial sector is dominated by medium sized companies. In 2017, the member companies of chemical wholesale and foreign traders joined together in the Association, generated a turnover of 13,748 million euros employing 7,655 persons. Quite a few companies in the chemical wholesaling sector can today look back on a 100-, 125- or even 150 year company history. In very many cases they are still family owned and form the medium-sized company backbone of the German chemical wholesale and foreign trading sector. There are, though also smaller companies with an annual turnover a only a few million euros which belong to this sector. They often fulfill their function in areas which have a weaker industrialization or, in particularly competitive regions, they exploit special market niches. As well as the lobbying work for the complete chemical distribution sector, the association understands its work mainly as being a central point of contact for services and information for its members. Classical topics within the chemical distribution are the storage of chemicals with the associated laws and regulations, the laws concerning protection from chemicals and occupational safety, the placing on the market of substances and preparations, the transport of hazardous goods as well as environmental protection and closed loop recycling management. Members receive regular circulars from the association on these subjects. In addition, circulars are sent out concerning specific questions of the foreign distribution of chemicals and annual statistics about the sector of industry showing the developments which the chemical distribution is undergoing. Seminars and training courses round off the information provided for members and, if necessary, discussion groups on current interest issues are convened. 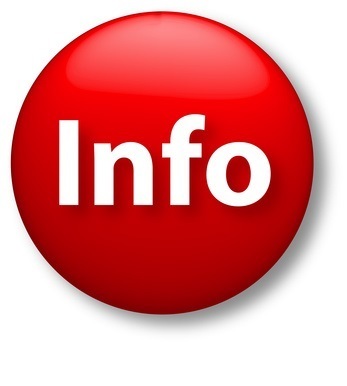 With the publications series "customer information", the association informs the users of chemicals about technical and legal matters and thus supports its members with their public relations work. - Videos "Good working practice Safe filling of organic liquids"
The state, its legislative institutions and executive bodies are reliant on extensive factual information from the economic community. Therefore, the VCH supports advisory boards, and committees in their work and thus makes their voice heard in the interest of chemical distributors. The basis for these activities is the work of the association's four own technical working groups. These concern them selves with proposed legislation and technical problems ranging from the transport of hazardous goods and the hazardous substance, pollution, plant operation and waste management laws, through to exchanging information on special subjects such as medications, foodstuffs and cosmetics. The working groups prepare the regular participation of the VCH, among others, in the Committee for the Transport of Hazardous Substances at the Federal Ministry of Transport, as well as in the Committees for Hazardous Substances and for Occupational Safety at the Federal Ministry of Labour and Social Affairs. Furthermore, the VCH also works together with all other relevant ministries in matters concerning chemical distribution. Successful lobby work requires cooperation in a spirit of partnership at the international level. Here, the VCH is regularly and intensively involved in all committees of the European umbrella organisation the European Association of Chemical Distributors - FECC which provides the European chemical distributors with a voice in the bodies and committees of the European Union, in particular with the EU Commission. In topics which concern several business segments, the VCH is represented by EuroCommerce in Brussels, the European distribution organisation. The VCH is a member of the BGA, the Federation of German Wholesale, Foreign distribution and Services and, on the national level, it works together closely with the German Chemical Industry Association (VCI). With regard to the Responsible Care activities, the networking of the VCH even goes beyond Europe's borders. A programme for responsible action in chemical distribution (Responsible Care/Distribution) was developed in the International Council of Chemical Distribution Associations - ICTA. Under the umbrella of the ICTA, the VCH also cooperates in international conventions of, for example, the WHO, the UNEP or the OECD. The worldwide Responsible Care Initiative stands for the desire, independently of legal obligations, to strive to achieve constant improvements in the fields of the environment, health and safety and to present this progress regularly to the public. This occurs in accordance with legal requirements, the traditional duties of a prudent businessman and in the interests of a future-oriented sustainable development. At the end of 1996, the chemical trading companies which make up the German Chemical Traders Association (Verband Chemiehandel, VCH) took the decision to participate in the worldwide Responsible Care Initiative of the chemical industry. They have highlighted the name of the initiative and the corresponding VCH program with the addendum “Conscientious conduct in chemical trade and distribution” (Verantwortliches Handeln im Chemiehandel). 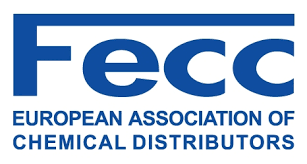 ● FECC-/Cefic-Guidelines "Product Stewardship in the supply chain"
You need some more information ?